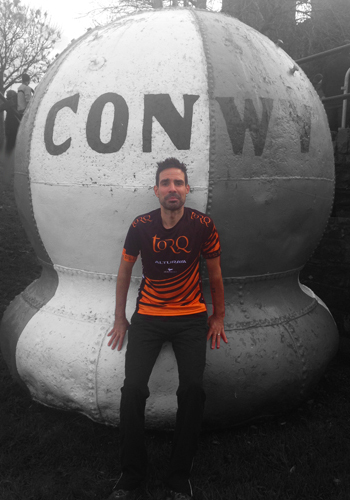 Stu Robinson decided to take on the Conwy Half Marathon as a bit of a refresher race – after only 4 weeks from hitting nearly a sub 2:20 at the Frankfurt Marathon. The course was challenging (well it was Wales! ), and due to still feeling a little jaded from Frankfurt, I decided to take it relatively conservatively and see how it went. Conditions were wet and very cold and the climb up and round the Great Orme into the wind was tough, but overall I was pretty chuffed to take 2nd overall in a time of 69.51 – plus as an extra bonus, my wife won the Ladies’ race!